Dr. Joyce Osei Owusu, congratulations again on the successful defence in November 2015 of your doctoral thesis “Ghanaian Women and Film: An Examination of Female Representation and Audience Reception”. Just to imagine that we met in 2011 when you contacted me to tell me that you were doing your doctoral research on women filmmakers in Ghana at Swinburne University of Technology in Australia! In fact later that year we had an interview that appears on the African Women in Cinema Blog to talk about your doctoral studies. Actually, I have had an opportunity to read your PhD thesis, and so in this conversation I would like for you to talk about the experiences that you had from 2011 until the present. Perhaps begin by telling us a bit about your project and why you chose the subject. Thank you very much Beti for inspiring me in the area of Ghanaian/African women in cinema studies. It has always been a pleasure to interact with you. My PhD research was borne out of my desire to do further research on women in filmmaking in Ghana. After my MA research on Ghanaian women filmmaking which sought to understand how female filmmakers particularly Shirley Frimpong-Manso concretised her efforts to tell stories and present images of women shaped by values she highly endorsed; and also analysed how a group of female audiences read the female representations in her first two films: Life and Living It and Scorned, I became fully aware of the dearth of literature and critical studies on women in filmmaking in the country and so I set out to help fill the gap. While my MA study purposely also focused on defining the characteristics of ‘positive’ or progressive visual representation of women by women, my PhD study relatively took a broader focus. The project explored the filmmaking practices of both local and diaspora Ghanaian female directors and their contributions to the Ghanaian film industry and culture including their representations of societal issues, and also investigated audience reading of their films. Specifically, it focused on three women: Veronica Quarshie and Shirley Frimpong-Manso (based in Ghana), as well as Leila Djansi (based in the diaspora), with a specific aim of delving into their biographical backgrounds, and the political economic conditions under which they work, and how those influence their film practices. Another interest of the study was to understand the representational strategies the women employed to highlight women and women’s issues in selected films (The Forbidden Fruit – Quarshie, The Perfect Picture – Frimpong-Manso, and Ties that Bind – Djansi). It also examined a group of male and female audiences’ interpretations of the portrayals of women and women’s issues in the selected films. Using a number of theories which included postcolonial feminist, African feminist, transnational film and encoding and decoding theories, the central findings of the study were: (1) Even though the female directors deal with similar themes; the political economic conditions, their individual sensibilities, concerns and interests have great impact on the way they portray and redefine postcolonial women’s experiences; (2) Despite working in a commercial environment where films are populated with misogynistic and stereotypical images of women, the three women directors depict female characters who challenge societal structures and strictures and personal barriers that constrain women to redefine female independence, social justice, and gender equality on the big screen; (3) The male audience participants overall were largely welcoming of progressive change in women’s situations, and they supported women’s freedom even at the expense of male privilege. The female participants, on the other hand, were more approving of women asserting themselves through acceptable social conducts, though they strongly believed in achieving women’s independence in a just manner. What did you discover in your process that you did not anticipate during your research proposal stage? I discovered a number of issues that I had not anticipated earlier before embarking on the actual research process. First, during the proposal stage I aimed to focus on four women feature film directors, but before I set out to collect data I moved away from that initial plan to include women making documentary films to capture the diverse modes of presentation. This again changed when I had to define a scope that was acceptable to the research I was undertaking at the PhD level and so I had to narrow it down to three feature filmmakers. The actual truth is that my research review committee felt I had too much information and it was best to narrow the focus. In view of these, I would say I did not anticipate that what I had initially planned would change. Through this experience, I also discovered that it could take time to finally find a focus for a study. Indeed, my knowledge about the intricacies of research processes was transformed, but one pleasant discovery I made was learning that there are more women involved in filmmaking than I had anticipated. Through interviews, the Internet, and a snowball approach, I encountered women filmmakers whom I had never heard off or had the chance to meet or view their works. I know for me during these past five years I have witnessed an incredible presence of African women of the screen thanks to social media in all its diverse platforms. Have you found this to be the case as well? In fact we met on Facebook in 2011 and have been communicating ever since. How, if any did social media impact your research process and methodology? Social media played a very important role during and after my research process. To an extent, it opened my eyes and changed my perception about Ghanaian women’s underrepresentation in filmmaking, and it partly informed the way I sometimes discovered and collected data for my research. My claim that there are more Ghanaian women involved in filmmaking both in Ghana and in the diaspora than I had thought initially is partly informed by their visibility on social media. In fact, our 2011 Facebook meeting actually set the ball rolling. Through African Women in Cinema Blog, I discovered several women filmmakers such as Yaba Badoe, Akosua Adoma Owusu, Sam Kessie, Akua Ofosuhene, Amma Asante, Frances Bodomo, Jacqueline Nsiah, Nana Oforiatta Ayim, Priscilla Yawa Anany, and a host of others some of whom I have had the chance to meet, connect to, interview and/or followed on other platforms. Social media deeply aided my understanding of Ghanaian and other women’s works, their filmmaking careers and journeys, their challenges, and remarkably their achievements. Generally, I would say the Internet was instrumental because with a click of a button, trailers, full movies, and paratextual materials on the women and their works were made accessible. This experience is on going. Ghanaian "cinema". When I participated in the African Women's Film Forum in Ghana in 2013, I was surprised at the dearth of information known about her role and her work among Ghanaians. Sutherland successfully established herself as a dramatist and a scholar in the arts. Her invaluable contribution to the Ghana national theatre movement is well documented, but information on her pioneering filmmaking engagement still remains obscure. The film seems to have disappeared and at this point the little we know are the facts that her docudrama Araba: the Village Story (1967) tells its story from the perspective of a young Tuesday born girl, Araba (played by Naana Nketia); it is set in the village of Atwia in the Central Region of Ghana, which was one of Sutherland's primary oral tradition research sites; and notably it has been internationally acclaimed to be a pioneering model for contemporary popular theatre for development. Apart from the fact that Sutherland collaborated with the U.S. network ABC to make the film, the specific role she played is yet to be uncovered. During my field work in 2013, I interviewed key family members and colleagues who worked closely with Sutherland, but I did not uncover much about the film. I have been in close contact with some of the people I interviewed and recently through a follow-up, I learned new information. I gathered that the ABC team that worked on the project included an exceptional woman, Merle Worth. At this point there are no leads to her whereabouts. I have discovered Merle Worth worked as an editor on the documentary film East Meets West (now re-titled Raga), which was directed by the American director Howard Worth. I have also learned that Howard in the 1960s worked on a lot of ABC projects in Sub-Sahara Africa. This was the period Araba was made. Hence, currently, I am making efforts to contact Howard to see what more we can learn. You focus your research on Veronica Quarshie, Shirley Frimpong-Manso and Leila Djansi. Talk about your scope of study, your choice of these three and how they are representative of the many other Ghanaian women of the screen. Due to the constraints of space and time the study focused on the three female directors: Veronica Quarshie, Shirley Frimpong-Manso, and Leila Djansi based on the following criteria: (1) they had prioritised women and women’s issues in their films; (2) their films were accessible; (3) they had made feature films; and (4) they were ready to make themselves available for the study. By selecting these three women, I was not suggesting they were the only Ghanaian female film directors whose films are committed to telling female stories, but in order to carry out a project that was feasible, I unavoidably had to limit the number. It is important to add that they were easily accessible. Since the scope of the study was limited, it did not claim to be exhaustive and the findings that were reported were not intended for generalisation. That notwithstanding, with the selection I made, I attempted to reflect three interrelated paradigms with regard to the time the women entered filmmaking. The selection covered a time span from when Ghanaian women began establishing themselves as feature filmmakers to the present – precisely from 1992 to the present. 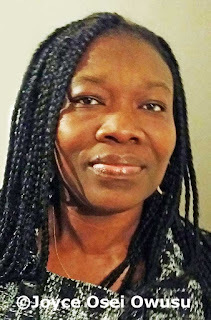 The first Ghanaian female video filmmaker Veronica Cudjoe released her film Suzzy in 1992; however, she did not have a sustained career in filmmaking but rather television. Veronica Quarshie whom I selected commenced her career in 1992-1993. Shirley Frimpong-Manso and Leila Djansi’s professional filmmaking engagements have evolved since the second half of the 2000s to the present, a period in which the Ghanaian video movie industry made a shift from producing movies using analogue technology to producing movies using digital technology and engaged in transnational productions. It is important to point out that the selection of local and diaspora Ghanaian female directors across what I have called first and second generation video/digital filmmakers demonstrates the quintessential multiplicity of Ghanaian women’s filmmaking, which is also the case for women on the African continent and elsewhere. Finally, the selection was also to reflect the different production lenses and cinematic distinctions between Ghanaian female filmmakers in the homeland and diaspora. I observe a blurring of corporeal, sartorial and language practices in the work of Africans and those of the African global diaspora, a phenomenon that comes from the flow, exchange and influences of what I describe as a western-normative gaze. Would you say this blurring exists as well among Ghanaians and Ghanaians of the diaspora? Yes, it exists in the works of the Ghanaian/Ghanaian diaspora female filmmakers I studied. Many times, African or Ghanaian cultural representations influenced by a ‘western-normative gaze’ are contested and resisted because it is believed such depictions are not authentic and they implicitly reinforce western supremacy. However, my study tacitly suggests that through such blurring and representations, the filmmakers redefine African womanhood and female empowerment. By such fusion, they portray women who actively participate in the global – thus, the women move beyond the public and domestic. Again, through those hybrids the female characters are able to explore new forms of identities and spaces. I found that Frimpong-Manso, for instance, promotes a sense of fashion that is hybrid when she presents in her movies authentic Ghanaian/African textiles like GTP Nuystyle and Woodin which have been designed into formal and informal wear, bags, hair accessories, rosettes, and hats. In a personal interview, she stated that this gesture is her way of supporting the idea that the traditional Ghanaian or African fabric is as good for funerals as it is for corporate board meetings. My argument is that by presenting such designs (African fabric in western cuts), the filmmaker does not only combine the South with the West, but she also uses such fashion trends as exclusive sites to allow a deeper understanding of the contemporary empowered African women in a postcolonial globalised space. In your research, you examine Ghanaian women’s transnational filmmaking engagements. African cinemas have been transnational since the beginnings of African cinematic practice, when Paulin Soumanou Vieyra and his group of African students made the film Afrique sur Seine (1955). The title appears to be paradoxical, and yet it reflects the early practices of African transnational cinema. Talk about what you describe as transnational filmmaking engagements among Ghanaian women. The practice of transnational filmmaking and its varying phases is an upshot of globalisation. Hence, the transnational filmmaking engagements as practised by the Ghanaian women are not different from transnational cinematic practices found in Africa or in other places. Much as the study, in an instance, focused on how the locally specific story and some of the issues as well as narrative characteristics transcend national borders, the transnational dimensions discussed in the women’s work centred on contextual determinants in relation to issues of production such as sources of funding, modes of production, location, distribution, exhibition, casting, and the diverse backgrounds and nationalities of the professionals involved in the productions. There were varying levels of cinematic transnationalism found in the women’s work. For example, I discussed Veronica Quarshie’s transnational practice that involves her work with a Nigerian producer. There are traces of transnational practices with regard to content, casting, distribution, and exhibition in the works of Shirley Frimpong-Manso. For Leila Djansi, because of the transnational space she occupies (lives in the diaspora and works in the diaspora and the homeland); her independent films are often made in a transnational mode. Thus, the diaspora and/or the homeland form the backdrop to her films. By working at the interstices of the local and diaspora, her films are funded by an independent studio and through what Hamid Naficy calls “mixed economies”, and they have been distributed and exhibited internationally. The cast and crew she works with originate from diverse nationalities. Certainly, her productions are not just transnationally made, but also her work inherently fictionalises some vestiges of Africa’s past, evokes personal and familial experiences as well as presents issues both in her home and/or host countries that affect humanity particularly women. The video film culture that emerged in Ghana in the late 1980s paved the way for women filmmakers based in Ghana to emerge as producers and directors. Prior to this period women who worked with the GFIC rose through the ranks to become producers, but they did not produce or direct a film. While the first pioneering students who graduated from the National Film and Television Institute (NAFTI) in 1981 included two women, women moving into key production positions began after 11 odd years. Veronica Cudjoe, a pioneering graduate who worked as a television drama producer/director with the Ghana Broadcasting Corporation (GBC), in an interview explained that the availability of video technology, its affordability, the video films made at the time, and the experience using the technology for her television productions prompted her to produce and direct her debut video feature, Suzzy and its sequel Suzzy II. After Cudjoe, women such as Hajia Hawa Meizongo, Afi Yakubu, Veronica Quarshie, Cecilia Oppon-Badu, Nana Ama Boateng, Ellen Anim Mensah, Josephine Anim, Nana Akua Frimpomaa, and Vera Mensah Bediako among others emerged in the 1990s as directors and/or producers. As much as some of these women did not sustain careers in filmmaking, their evolution was phenomenal. In spite of all the challenges that plagued the Ghanaian film industry in the 2000s, the introduction of digital technology and other technological innovations boosted Ghanaian-women-of-the-screen practice. By 2007, Shirley Frimpong-Manso was at the forefront of this phase releasing her debut feature film Life and Living It and Leila Djansi contributed with her transnational practice, which saw the release of her debut I Sing of a Well. In recent times, producers and/or directors such as Kafui Danku, Yvonne Nelson, Yvonne Okoro, Juliet Ibrahim, Zynell Zuh, Kafui Dzivenu, Nadia Buari, Barbara Anakwa, Lydia Forson, Alberta Hukporti and Priscilla Yawa Anany among others have made feature films. Technological advancements continue to create new opportunities for more women and revitalise the kinds of films they make, the way they make them, and the mode in which they distribute and exhibit such films. To give a couple of examples, Juliet Asante’s MobileFliks Movies and Nicole Amarteifio’s web-series are significant. Using your own example and research process, talk a bit about the importance of African women’s voice in film criticism, research and scholarship. African women on the continent and in the diaspora are diversely projecting women’s issues, increasingly creating a female consciousness, and are involved in many aspects of production, promotion, circulation and consumption. I believe the African woman filmmaker’s visibility in academic scholarship and research is gradually taking shape and evolving. As theories, conceptual frameworks as well as methodologies in African women in cinema studies are being formulated, it is imperative that African women’s voices contribute in the establishment of such theorisations and discourses. I embrace African women’s voice in film criticism that emanates from the continent and the diaspora because our various realities, experiences, knowledge of Africa and/or the diaspora as well as our position as insiders will enhance the scope and insight of African women’s cinema criticism. Currently, I teach at the School of Performing Arts, University of Ghana. My passion to learn about women cultural producers has grown. Hence, as an early career researcher, my goal is to build up a research profile in the field of Ghanaian media studies, with publications and conference papers particularly in specific areas of research interest which include: gender representation in film and other media forms, women in filmmaking and other media productions, the politics of women’s creativity, as well as audience reception of women’s works. I have an interest in genre studies, so I have begun exploring that area particularly in relation to women’s films. There are also plans to have my thesis published into a book in the future.